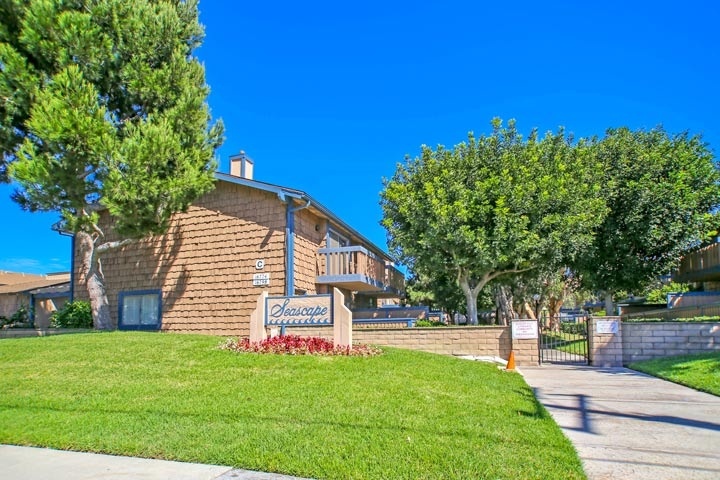 Seascape condos are located in the Northwest Huntington Beach area in Huntington Beach, California. The Seascape community was first built in 1974 and features one to three bedroom condos that range in size from 850 to 1,482 square feet of living space. This is a very small complex of 40 condos that area located off Algonquin street and near the waters of the Huntington Harbour area. The Seascape community is under a homeowners association with monthly dues required. The dues include use of a nice association pool, spa and tennis court. Some of the features that can be found here include exterior decks off the second floor masters and nice ground floor patio areas. This is an ideal location that is within walking distance to the Harbour with great restaurants and shopping. Below are the current Seascape condos for sale and for lease in Huntington Beach. Please contact us at 888-990-7111 with questions regarding this community and any of the homes listed for sale here.